Every month, our 23 Ulster County legislators make decisions that matter: about racial justice, the environment, the economy, and how we treat the most vulnerable among us. 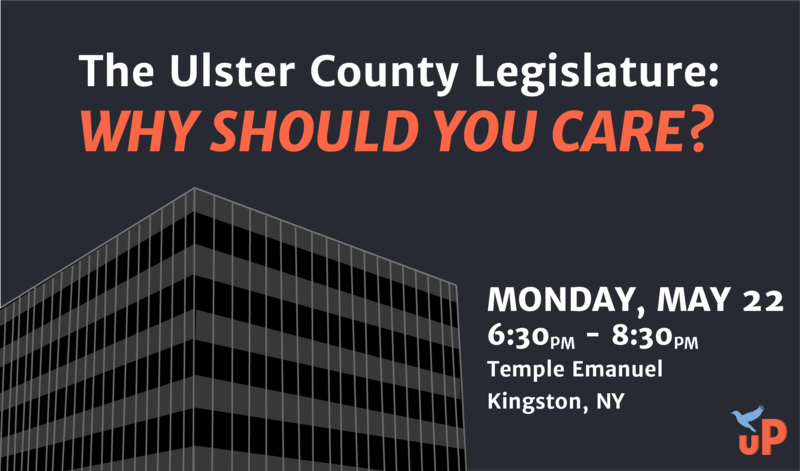 Join the Social Action Committee of Temple Emanuel and Ulster People for Justice & Democracy for a teach-in on what our County Legislature actually does, how they do it, and why it matters. FREE | Space is limited| Doors open at 6:15pm.